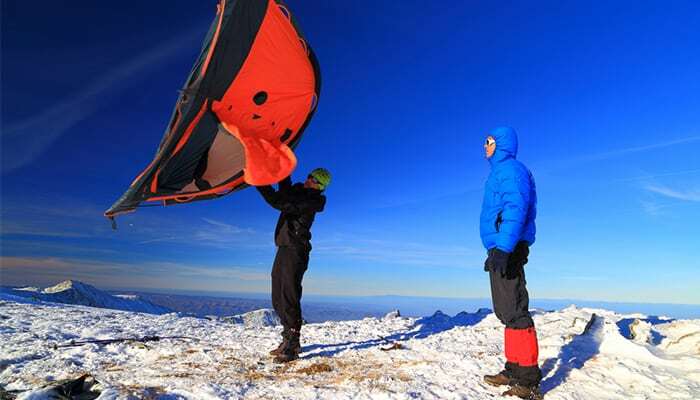 In this guide we’ll look at the best camping coolers. What Is The Best Camping Cooler? YETI leads the pack when it comes to camping and outdoor supplies. They’re known for durability and functionality. Long story short – this cooler is amazing. The Tundra 45 boasts 3 inches of PermaFrost insulation to keep up to 26 cans freezing cold, with a recommended 2 to 1 ice/contents ratio. The wall on this cooler is extra (extra extra) thick, and is certified bear resistant. This means that it can take a beating from a hungry bear and live to tell the tale. Bear resistant coolers also use their thick walls to mask scent. If it doesn’t smell like food, then it’s of no interest to bears. Or any animal, for that matter. The Tundra is rotomolded, meaning the cooler is made in a constant rotational fashion, ensuring the mold (and eventually the cooler itself), is equally thick and durable throughout. This awesome cooler is “armored to the core” and “virtually indestructible”, according to Yeti and verified by me. You can take it anywhere, for any amount of time, and it will survive the trip. All of the Yeti Tundra coolers, including this one, have heavy duty t-rex latches made of heavy-duty rubber. Yeti has actually patented the technology they use to make their latches, so you won’t find another cooler with the same thing. Ever. I have had this cooler for years, and the latches show zero signs of wear, let alone breaking. This cooler will retain ice for up to 7 days, if you keep the lid shut tight and refrain from opening it constantly. My favorite aspect to this cooler are the wheels. They can handle pretty much any terrain, so this is a great camping cooler to have handy if you’ve got a short trek through the woods to your site. It will roll over small branches and sticks, as well as rocks and other uneven terrain without tipping. This is a major plus, because most coolers have to be carried. The bigger the cooler, the more you have in it…and that means you might need two people to carry it! No worries with the Pelican. Fill it up and wheel it to your destination. This cooler keeps ice cold for up to 10 days, and while I’ve admittedly never used it that long, I can see how that’s accurate. Everything is still cold, with full cubes and very little water in the bottom, on day 5. The latches are easy to use, but not quite as durable as the Yeti.However, the Pelican cooler is certified bear resistant by the Interagency Grizzly Bear Committee. I know you’re curious, so I’ll touch on it for a second here. According to the IGBC “the purpose of this certification is to help keep bears safe and significantly reduce bear-human encounters by ensuring that bears do not have access and become conditioned to anthropogenic foods and other bear attractants that increase these encounters. This certification involves intense impact and penetration testing by use of visual inspection, mechanical methods and captive Grizzly Bear testing over extended periods of time”. We’ve talked a little but about what rotomolding is and why it’s important. Right of the bat, you know when your purchase this Thermik cooler, you’re getting durability. Always gravitate towards rotomolded camping coolers, if you can. They tend to be of higher price point, but they’re worth it. This one piece, rotationally molded cooler has a textured top lid and soft damage proof latches. The latches aren’t as tough as the Yeti latches, but this cooler has the exact same ice retention as the Yeti. The thick urethane insulation the Thermik is constructed with will keeps ice frozen solid for 5 or more days, depending on how you use it. To keep retention high, close the lid tight and open it only when you have to. One of my favorite features this cooler has, is the freezer grade lid seal. The top closes so tight, which increases your ice retention times as well! As if that isn’t cool enough (pun intended), Thermik added a vacuum release button to prevent stuck lids. No more pulling on your cooler lid shouting swear words, until it finally opens and you go flying backwards. A few more, very cool features worth mentioning include an indestructible hinge, durable rubber feet and tie down holes. The Thermik is staying where you put it, people. You’ll also get a cutting board separator, dry keeper basket, and drink holder! Top it all off with a 5 year manufacturer warranty. This cooler by Vibe Kayaks is tough as nails. It also comes in an awesome camo print. If you’re not sold just by those two sentences, then we can’t be friends. Jokes aside, this 75 quart cooler was built to take on anything from fishing and hunting to extended camping trips and concerts. It’s durable and versatile, with heavy duty wheels that make this super easy to transport. This cooler has everything you’d typically want in a camping cooler, and it comes with a limited lifetime guarantee. It’s a campers dream, am I right? It gets better. Vibe promises that this cooler is durable enough to take on pretty much any hungry animal. The integrated locking system is 100% bear proof, so you can confidently take this bad boy into the woods, fill it with salmon, and sleep peacefully. Note: That is actually not recommended, but you could do it. The rotomolding process on the Vibe Element makes for a super thick plastic exterior that will keep your drinks cold and your lunchmeat fresh for days. 5 to 7 days, to be exact. Vibe offers a limited lifetime warranty on the Element (yes, lifetime) covering any defects on new coolers purchased. If you’re looking for a tough camping cooler, you’ve found it. Driftsun has created a cooler than is seriously durable, with commercial grade insulation, cold seal latches and non slip rubber feet. You can tie it down using the molded tie down slots, ensuring that it will stay put for as long as you do. With military grade nylon rope handles, this rotomolded cooler won’t falter when it comes to weather…or bears. The Driftsun has three inches of insulation and a freezer style gasket that will keep food and drink cold for around 4-7 days. In matter of insulation and gaskets, it’s similar to the Yeti. The 75 quart interior is pretty huge, but the outside of this cooler doesn’t seem overly bulky at all. It travels well and it’s easy to carry, depending on how much you’ve put in it, of course. The material that makes up the outside of this cooler is UV resistant, meaning it won’t fade. The Driftsun will look new for years! This cooler is guaranteed to keep your food cold and fresh. Speaking of guarantees…Driftsun offers a 1 year manufacturer warranty. 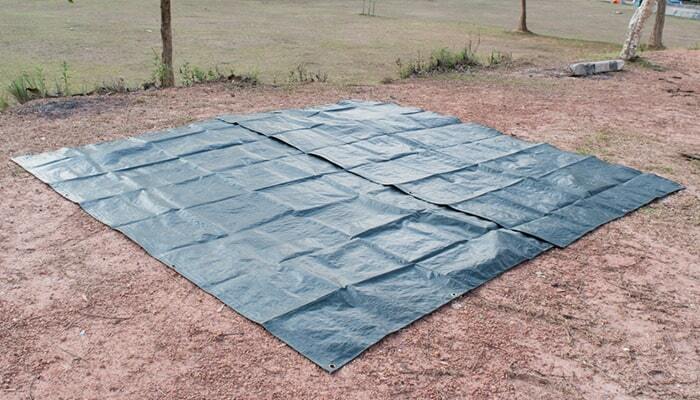 When it comes to camping supplies, you can always rely on Coleman. It might not be the best cooler on our list, but it by far has the best design. Coleman describes it as “retro” and they hit the nail on the head. This cooler is so old-school, and that makes it fun to use and look at. The Coleman portable has a pretty good can capacity. It’s roomy, but not overwhelming. You’ll be able to fill the space without trying – or adding extra ice. This cooler will keep ice cold for around 3-4 days in temperatures up to 90 degrees. That’s pretty impressive for a cooler that has a very reasonable price point. It’s easy and comfortable to carry. Also, it’s my favorite cooler to sit on. That sounds odd, I know, but it’s surprisingly comfortable. Coleman has not guaranteed this cooler to be bear resistant, and after using it many times I would agree. Though it’s sturdy, I don’t think it would be able to take on many curious paws from such a large animal. It does, however, stand up to racoons. That much I’ve seen. This cooler is awesome. Let me just point out that you don’t need ice. It plugs in! This might not be ideal for those of you who like to rough it in the absolute middle of nowhere. If you’re staying in a cabin or headed out on a long car trip, this cooler is worth every penny you’ll pay for it! The Igloo Iceless plugs into any available 12V DC receptacle, known to any of you born before 2005 as “where the cigarette lighter used to be in your car”. It will plug into any SUV, car, RV, truck…wherever you need it! When using it in the car, the fan is relatively quiet. Be sure to keep the cooler clear of other objects so the fan can run effectively without overheating. This cooler is curved slightly, which makes it very easy and comfortable to carry. It’s not huge, but because you don’t need ice you’ll have ample room for food and drinks. If you’re staying in a hotel or cabin, make sure you purchase the adaptor that will allow it to plug into a regular outlet. Food and drink won’t stay cold for long if it isn’t plugged in. 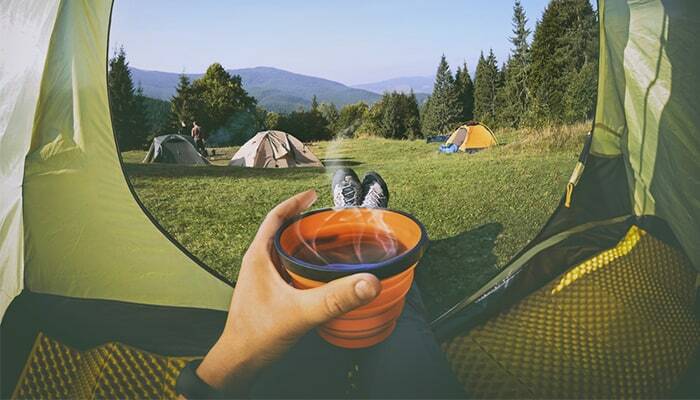 There are many aspects to camping that are imperative to a good time. First off, if you’re not going alone, you have to like the people you are going with. 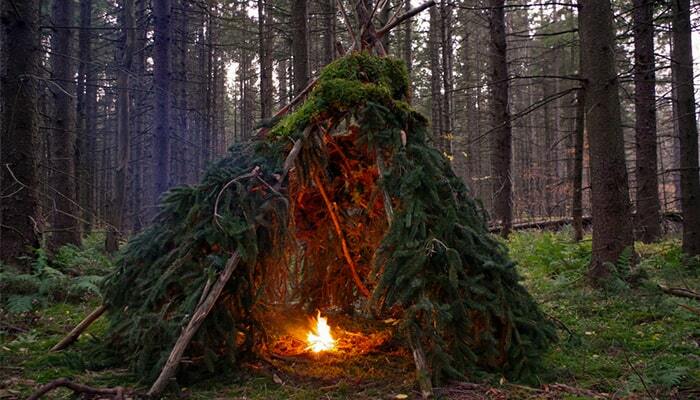 If not, you’ll spend the whole time reading in your tent and getting lost in the woods on purpose. Second, you have to have a dry place to sleep and a super comfortable chair. These two things are equal amount of important. Third, you need a good, solid, trustworthy cooler. If you pack up all your stuff, get to camp, and find out that you’ve got a leaky cooler…you’re going to have a bad time. Unless you’re camping in close proximity to a Hilton, you need a cooler. A good one. Why? Well, to start, your camping cooler is where you’ll be storing your food. Since humans require food to survive, you want to keep it safe from spoiling, outdoor elements and animals. Depending on where you’re camping, your cooler will have to withstand curious raccoons, coyotes and bears. By now, you probably have a pretty good idea regarding what type of cooler you need. Are you headed out to the middle of nowhere to deal with the occasional mountain lion? If so, you’ll want something like the Yeti. 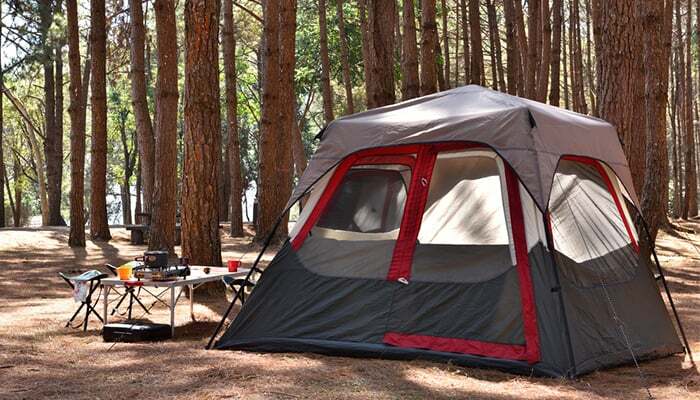 Are you setting up your tent in a populated campground, with nearby bathrooms and a recreation center? If that’s the case, the Coleman will be perfect for you. Your cooler choice simply depends on what you’re planning on doing with it. Every cooler on this list will serve a purpose, you just have to make sure it’s relevant to your camping trip. When I go in search of a new camping cooler, I like to look for durability, ice retention time and ease of transport. Here’s why. If you don’t have something durable, you risk an animal as small as an opossum getting after your beloved snacks. Not only will a bear proof cooler guarantee your food to be safe from animals, but it will also ensure durability in everyday use. If your cooler can take on a bear, my guess is it will survive a summer of Little League. Ice retention is important as well. Whether or not your food spoils depends on a camping cooler’s ability to retain ice. If you have water by the end of day one, you’ll be making constant trips to the nearest store to refill. That kind of puts a damper on the whole “connecting with nature” aspect of camping. Finally, you want to be able to easily transport your cooler. It’s true that camping coolers get heavy quickly, mostly because we’re filling them full of ice and food. A good cooler won’t feel like a thousand pounds when you’re hauling it to and from the site. It will be comfortable to carry with another person, and it won’t scratch to bits if you pull it across the ground. My top pick is the Yeti, without a doubt. 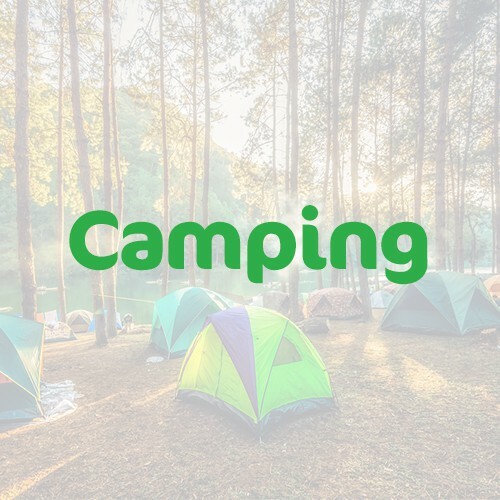 It will serve campers that like to rub sticks together in the middle of nowhere to start a fire (my Dad) as well as those who like to spend one night tops in a nicely furnished cabin with space heaters and indoor plumbing (my Mom). The Yeti is durable enough to withstand a bear, but light enough to take to a baseball game. It’s not bulky or overwhelming. It’s perfect – and it will keep your drinks cold for 3 hours to 7 days. You choose. From the rotomolded construction to the permafrost liner, you’ll have a hard time finding a cooler that will work as well and last as long as the Yeti. 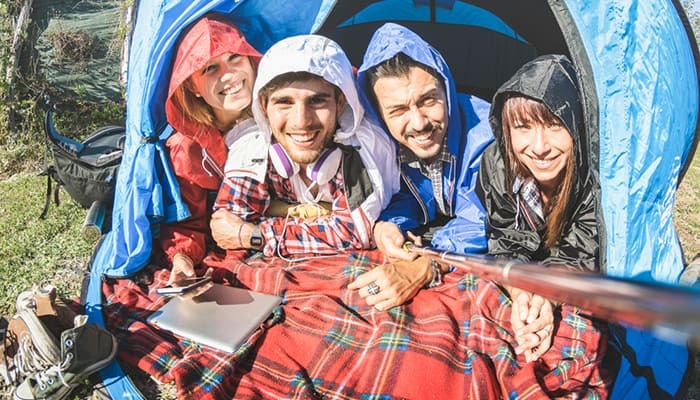 It will suit all campers of every experience level. The camping cooler may or may not be the deciding factor regarding whether or not your camping trip is successful. You’ve got a lot riding on it, so be sure to choose the right one. I’m kidding! You’ll be just fine with any cooler on this list. They all have wonderful durability, fantastic ice retention times and they’re easy to move from place to place. Yes, your cooler is important, but knowing all you know now will help you to plan ahead and confirm what you need. I have complete faith that you’ll make a great choice! May your drinks be cold for days. Happy camping!